I see this antibody is not purified and is in tissue culture supernatant? Is the tissue culture supernatant serum free? ab16663 is serum free. I hope this is helpful. Please do not hesitate to contact me with any additional questions. 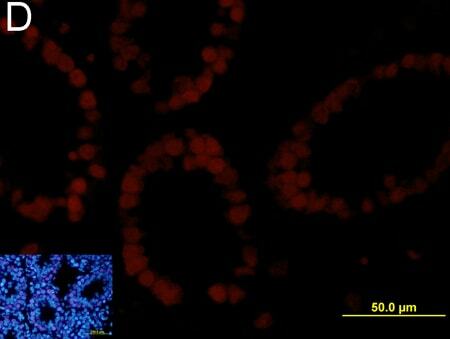 Please provide the concentration of this antibody. Thank you for your telephone enquiry yesterday regarding antibody ab16663. I can confirm that the concentration of this antibody is around 0.1mg/ml. 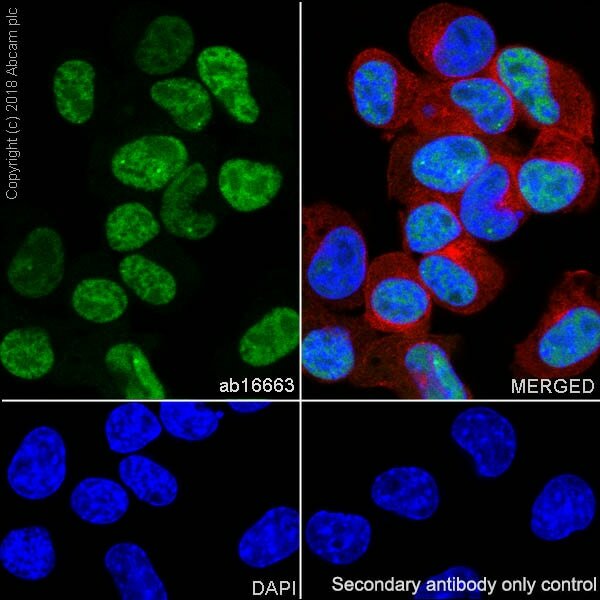 However,as discussed on the phone, the antibody is supplied as cell culture supernatant which means the concentration will vary slightly and this is an approximate value. I hope this information is helpful. Should you have any further questions, please do not hesitate to contact us again. Thank you for your enquiry. The homology of the peptide used to generate ab16663 shows ~70% homology with both cyclin D2 and D3. There is a possibility of cross-reaction, but we do not have data to confirm it. Please let me know if you have additional questions. Thank you for your enquiry. 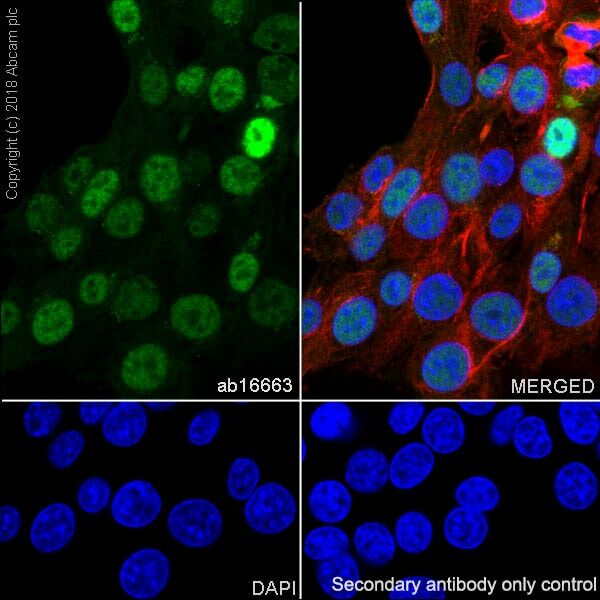 Ab16663 is a rabbit IgG antibody, so you should use an anti-rabbit IgG secondary antibody. At the bottom of the online datasheet there is also a list of compatible secondaries which can be used. If you have any additional questions, please contact us again. centrifugation). We tried using 20 and 40 ug of total protein/lane. using methanol transfer buffer and 0.2 um nitrocellulose membranes. Blocking in 5% non-fat dry milk + 0.5% Tween-20 in TBS for 1 h (RT). ladder standards were always adequately separated and transferred. I am sorry to hear that these antibodies are not providing satisfactory results. 1) How long is your incubation? Overnight incubation at 4 degrees allows for the strongest images. 2) Do your sample types express high amounts of these targets? 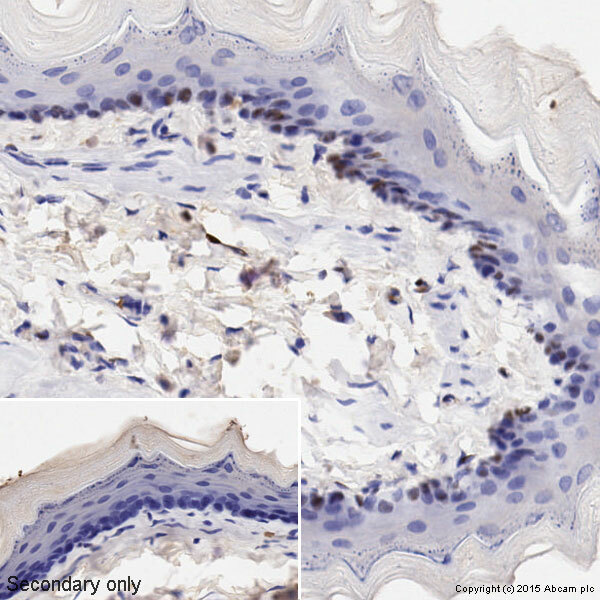 3) For cyline D1, although we recommend using 1/200, there is an image on the datasheet with a much stronger band using the primary antibody at 1/25. I would suggest increasing the antibody dilutions even further in both cases, since as you state it is not the sample preparation that is the problem but rather getting a good signal from the antibody.